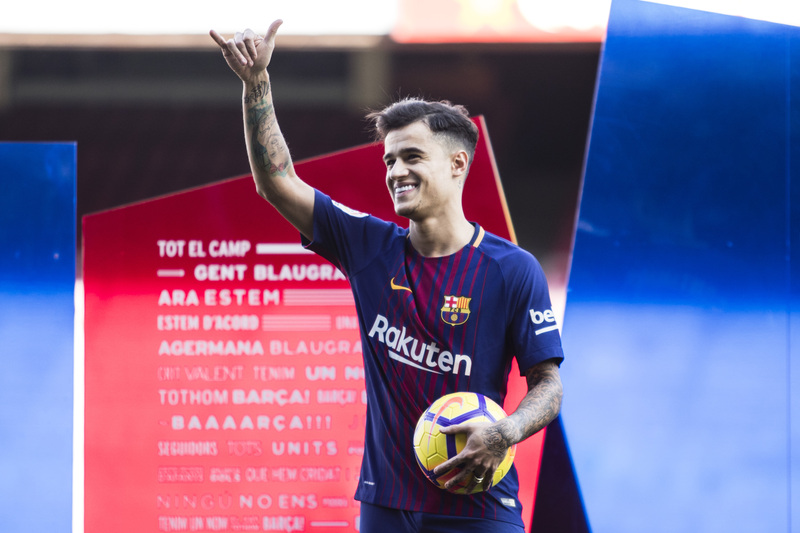 Philippe Coutinho could leave Barcelona this summer, and potentially move back to the Premier League with Manchester United, and that would cost Liverpool up to £17.6 million on clauses they’d miss out on. Liverpool really wanted to keep hold of Philippe Coutinho and Barcelona really wanted to sign Philippe Coutinho and not even 18 months it’s the team that wanted to keep him that would be happier with what happened in January last year. Coutinho was the man that Barca wanted to fill the void that would eventually be left by Andres Iniesta, whilst making a big name signing after Neymar had left was also handy. At the time the Brazilian was Liverpool’s best player and Jurgen Klopp didn’t want to let him go. By the time they sold him in January Mo Salah had overtaken Coutinho as Liverpool’s best player. It hasn’t been a bad time for the former Inter player at the Camp Nou but he’s not reached the heights that were hoped of him and he’s often featured as a substitute this season. Now there’s talk that he could be sold this summer and Manchester United has been touted as a possible destination, with reports the player has spoken to United players. Any move away from Barca could cost Liverpool on missed bonuses, according to the Mirror. Liverpool make £4.4 million every 25 La Liga appearances up to 100. If he makes seven more this season that’s another £4.4 million but even hitting that mark the Reds would miss out on £8.8 million for the next 50. If Ernesto Valverde’s side fail to win the Champions League this season then in theory that’s another £4.4 million that the Premier League side would miss out on. In all that could be £17.6 million, if the midfielder fails to make seven more league appearances before leaving, although Jurgen Klopp’s team will secure their £4.4 million for Barca qualifying for next season’s Champions League. Fans at Anfield wouldn’t be happy at all if the 26 year old moved back to England to join their fierce rivals and they’d be more annoyed to find it costing them. Do you think Coutinho will be back in the Premier League next season?